This set inlcudes a pair each of 30, 35, 40, 45 and 50lb. dumbbells. 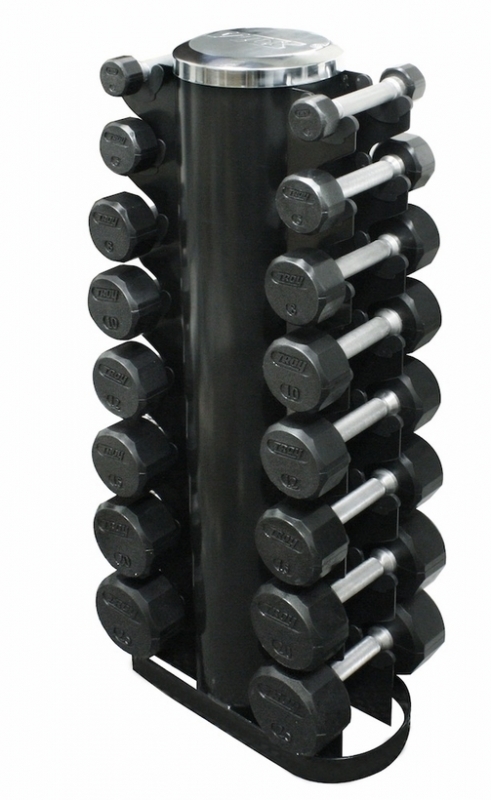 Product Description: This compact vertical dumbbell rack is designed to hold 8 pair of hex or VTX dumbbells ranging from 3 to 25 lbs. The user friendly design allows for easy access. 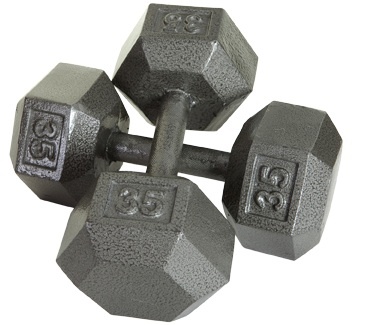 Order your Troy USA Solid Hex Dumbbells 30-50lbs Set IHD-030-050 from FitnessZone.com today!